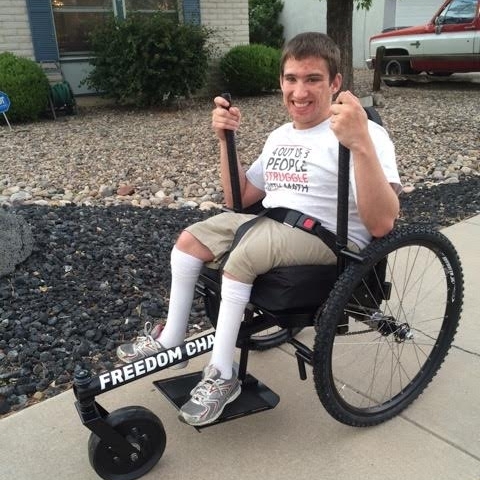 Riders with spina bifida use the GRIT Freedom Chair to move beyond the pavement. The chair is appropriate for riders with a wide range of ability levels. Will I be comfortable in the chair? The tension-adjustable straps in the seatback can be tightened or loosed to your comfort.